- Cranberry red candle, scented with sunflower, myrrh and frankincense. "Let me move forward, allowing the power of discipline to guide my life. Allow me to focus on my desired goals and pursue them with strength and conviction." 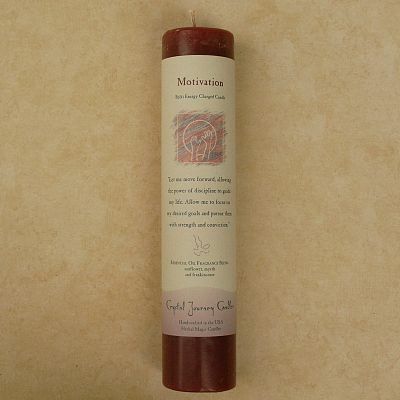 Do you have any other questions about our Reiki-Charged Motivation Pillar Candle?